Echinacea helps to decrease the severity & length of the common cold and flu, and it is helpful in reducing symptoms of cough, fever, and sore throat. 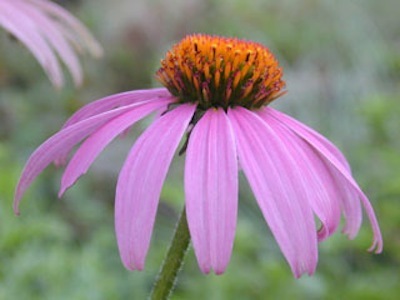 Type of Plant: Echinacea Purpurea is the most common species, and it is a perennial. Time to Plant: Echinacea Purpurea can be propagated from seeds in about 30 days and it can be planted in the spring or fall. Time to Harvest: Echinacea roots can be dug up in autumn of the second or third year. Location: Echinacea Purpurea prefers full sun. This entry was posted in Uncategorized and tagged boost immune system, capsule, cold symptoms, colds, cough, daisy, echinacea, echinacea angustifolia, echinacea pallida, echinacea purpurea, fever, flowers, flu, gardening, herbal medicine, herbal remedies, herbs, immune system, infection, perennial, plants, purple coneflower, sore throat, taproots, tea, tinctures on November 8, 2015 by mygrandmasgarden.